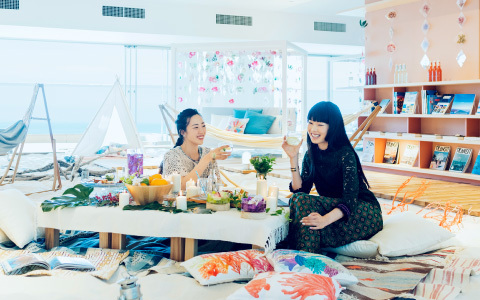 Dining Hanabi | [OFFICIAL] Hoshino Resorts RISONARE Atami - This resort hotel is immersed in Atami's best scenery and hot spring. 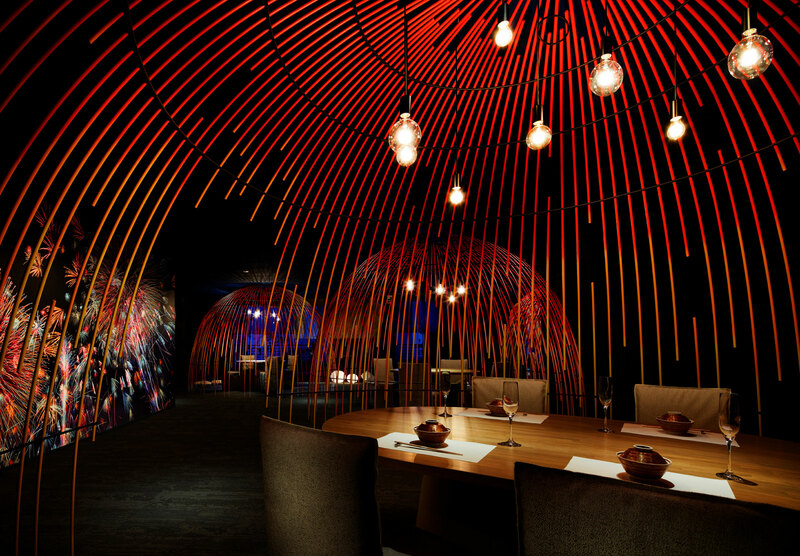 Each dish is like a beautiful firework. Please enjoy the new Atami Japanese food. 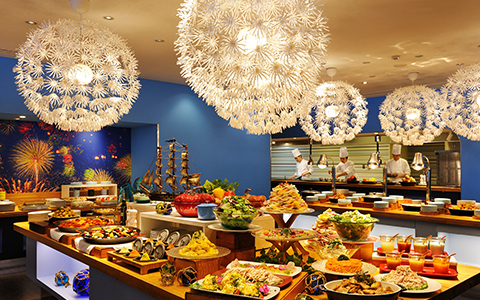 Our theme is “Exquisite Atami Cuisine”. 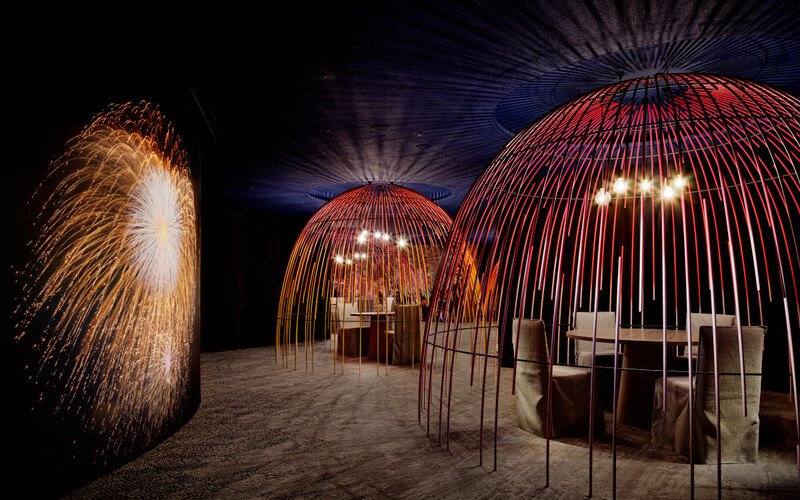 The Atami Sea Fireworks Festival is the restaurant design idea. Please enjoy our delicious seasonal course dinner with highly recommended seafood: horned turban and splendid alfonsino. 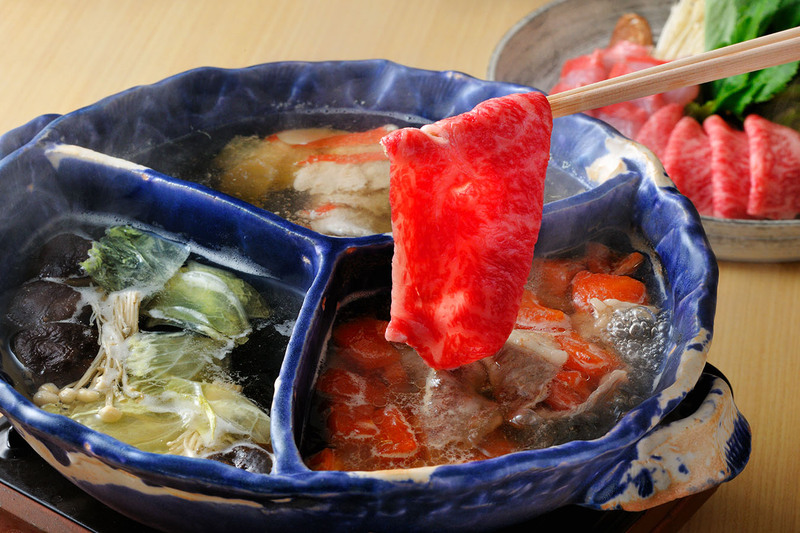 Japanese dining Hanabi offers Course Dinner of “Exquisite Atami Cuisine”. Atami is the gateway to the Izu Peninsula, who fishes the most splendid alfonsino in Japan and horned turban in Shizuoka Prefecture. Lots of the seasonal seafood is used in the courses. 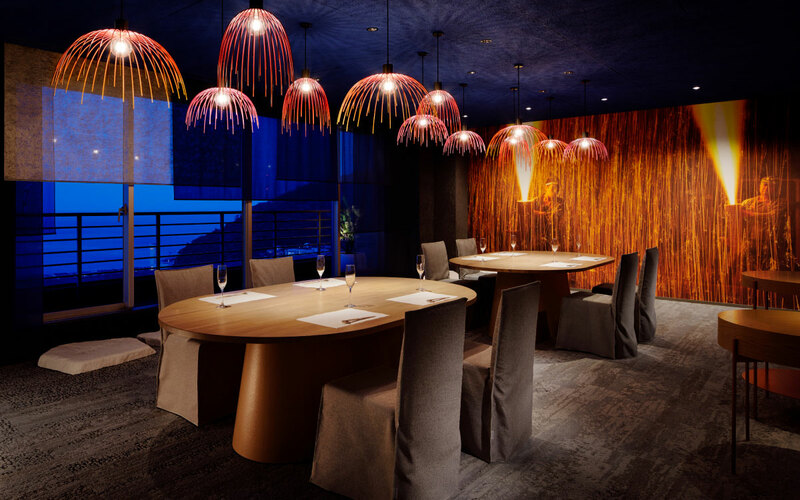 Through eating at Hanabi, you will feel the charm of the new Japanese food. 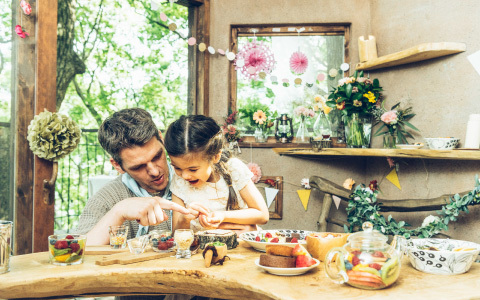 Free nursery service for children of our customers for dinner (First-come-first-served, reservation required). 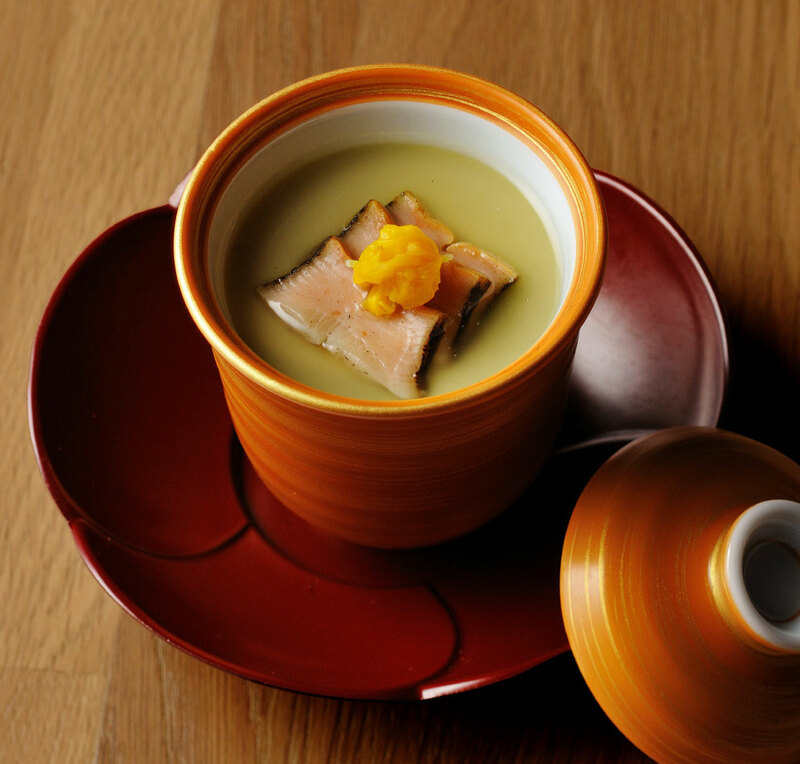 The Hoshino Resorts RISONARE Atami original tableware are used for the sashimi and the hassun dish. 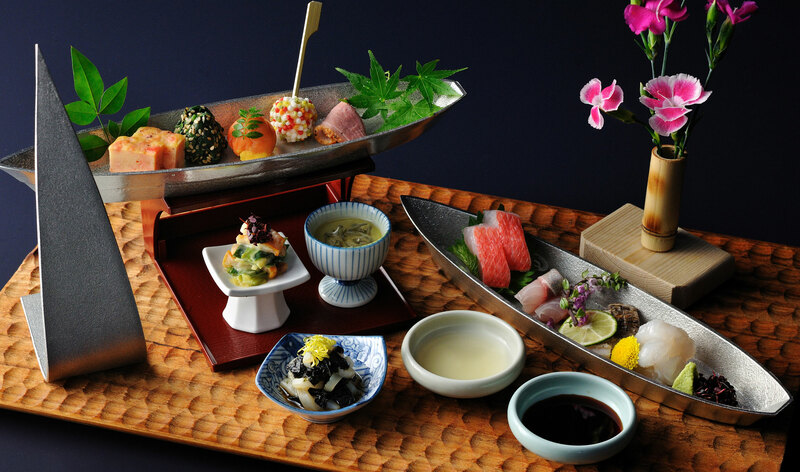 The image of fast sailing ships in Sagami Bay before the wind of ​​Atami is perfectly shown on the trays with wood-carving waves, tin ships and sails. The decent tin expresses the figure of elegant sailing ships. The design of the tableware was supervised by “CEMENT PRODUCE DESIGN”, who attracted lots of attention through their activities out of the framework of the existing design companies. The design idea of Japanese dining Hanabi is the “Atami Sea Fireworks Festival” which has 60 proud years in Atami and is still held about 15 times a year nowadays. The design is under the supervision of an architectural unit “Klein Dytham architecture” who is proficient in multiple design fields including architecture and interior. 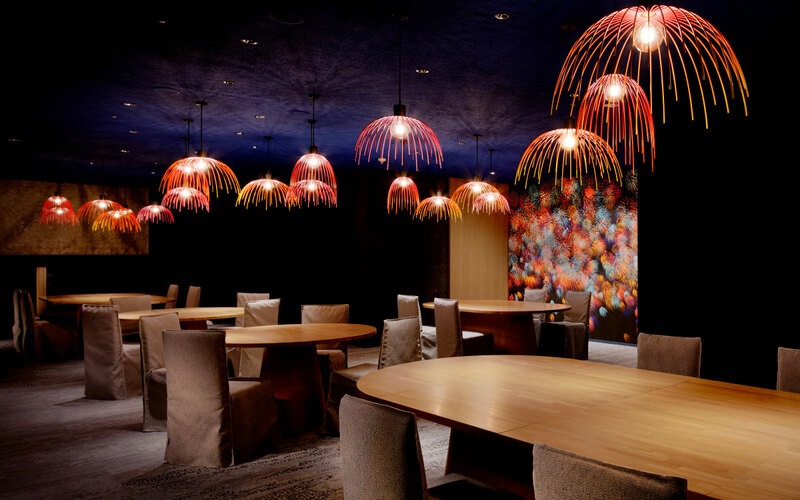 The semi-private rooms with fireworks motif with colorful gradation color which draws gentle parabola are dotted in a deep blue space reminiscent of the night sky. 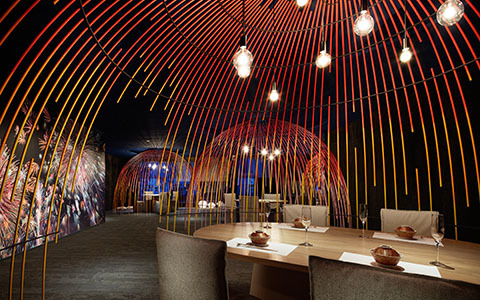 In the private spaces wrapped in the large fireworks that opens in the night sky, you can relax and enjoy conversation and meal. 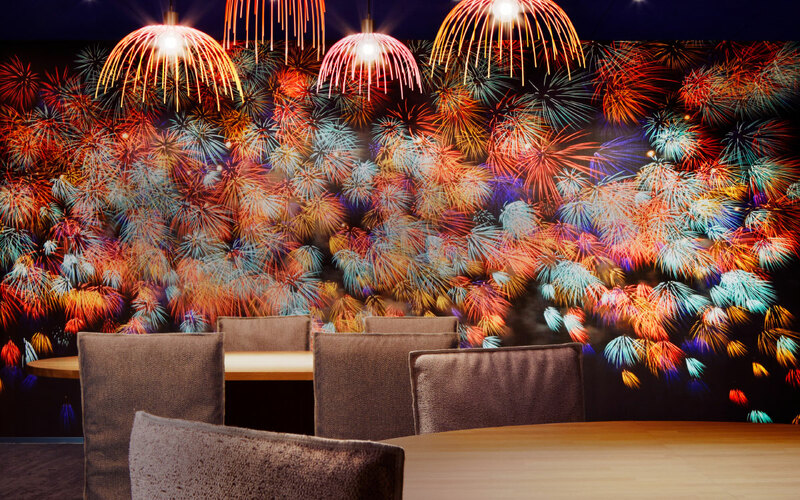 On both sides of the restaurant, there are spaces suitable for a large group with the firework image design deploying on the wall and overlapping pendant lights above your head. Klein Dytham architecture: an architectural unit proficient in several fields including architecture, interior, and installation, established in Tokyo in 1991 by Astrid Klein and Mark Dytham who completed RCA. It is highly evaluated internationally, and attracting attention by promoting various projects with clients.